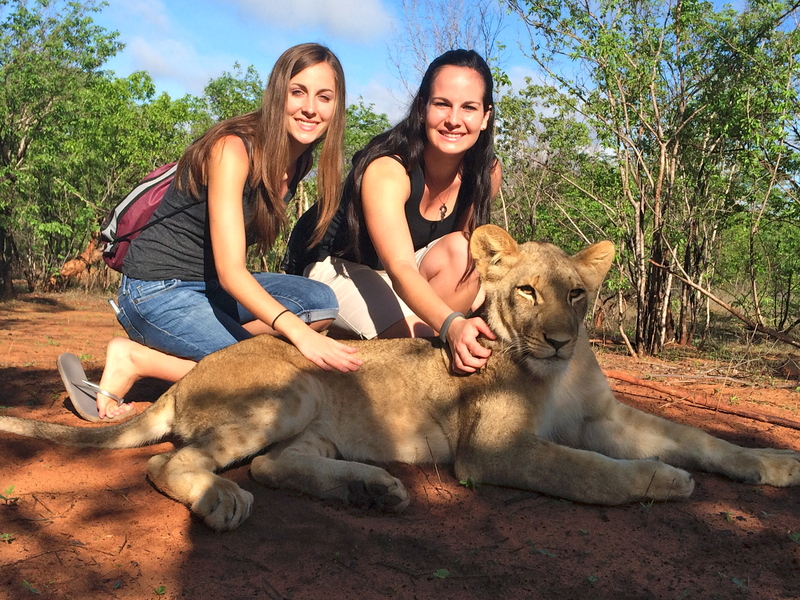 6:30 am pick up and heading to Mukuni Big Five Safaris to play with some of the big animals of Africa. We started out with the lions, the kings of the jungle. After getting briefed on how to properly approach the animals, we ventured out into their arena. 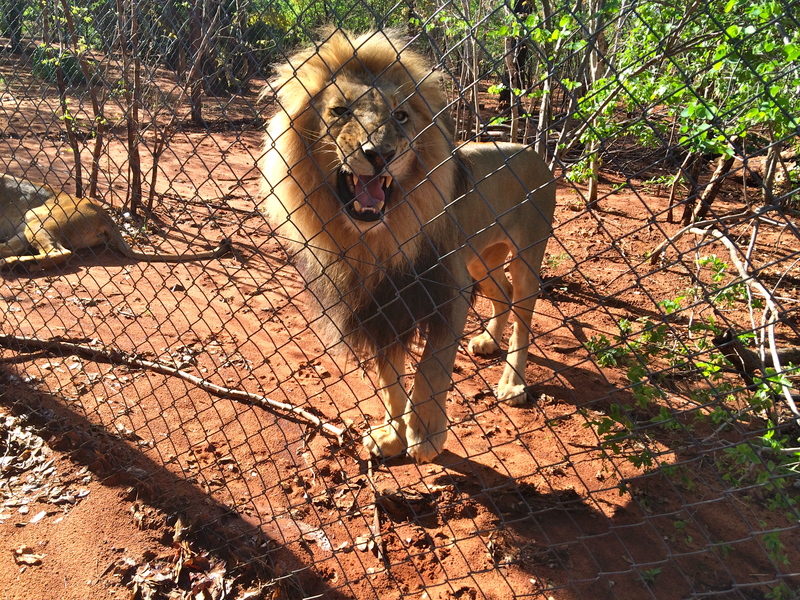 It was so cool to get up close to the lions and pet them. 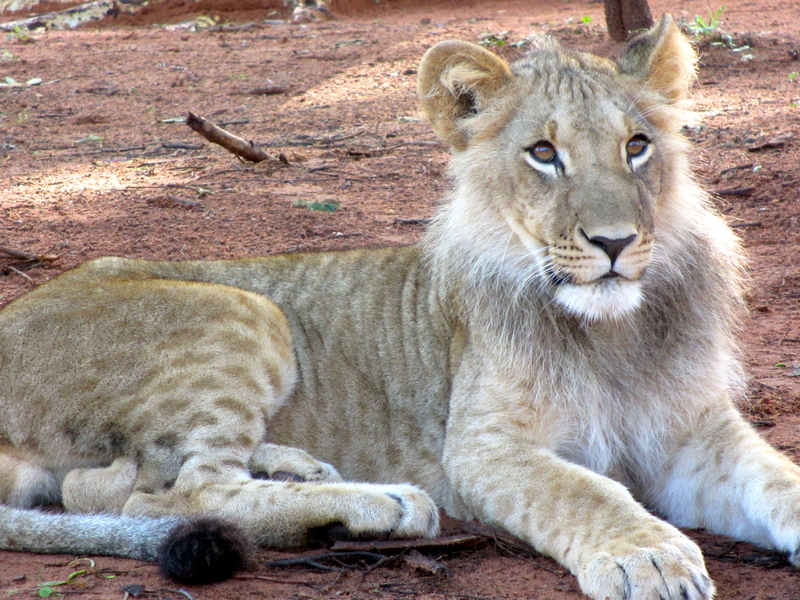 The lions that we were with all had to be younger than 2 years old, because once they get older they are too dangerous to get in close contact with humans and they are placed in their natural habitat within fences and out of human reach. Next up were the big cats: cheetahs! And big cats are exactly what they seemed like. 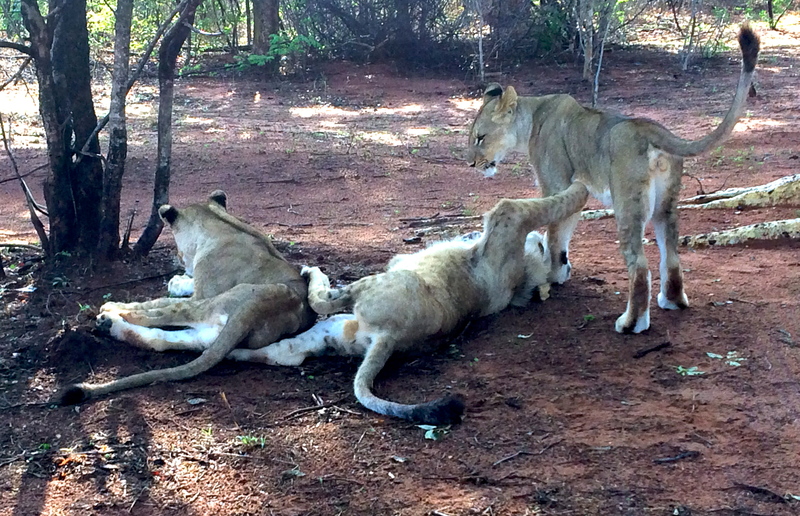 They were very calm animals and did not really move much when we were close to them. After petting the cheetahs while they lounged around, we all got a chance to walk the cheetahs around the paths. The nice thing is that with all of these animals, it is ultimately about what the animal wants to do. So you let the animal lead and if they want to go off on their own then that is what they do. 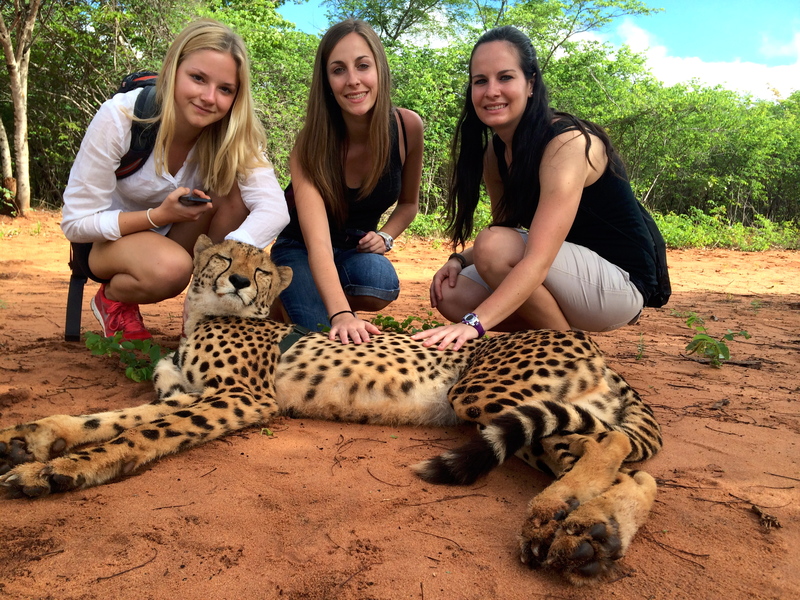 To end off our time with the cheetahs we got to see a few of them do their daily run. 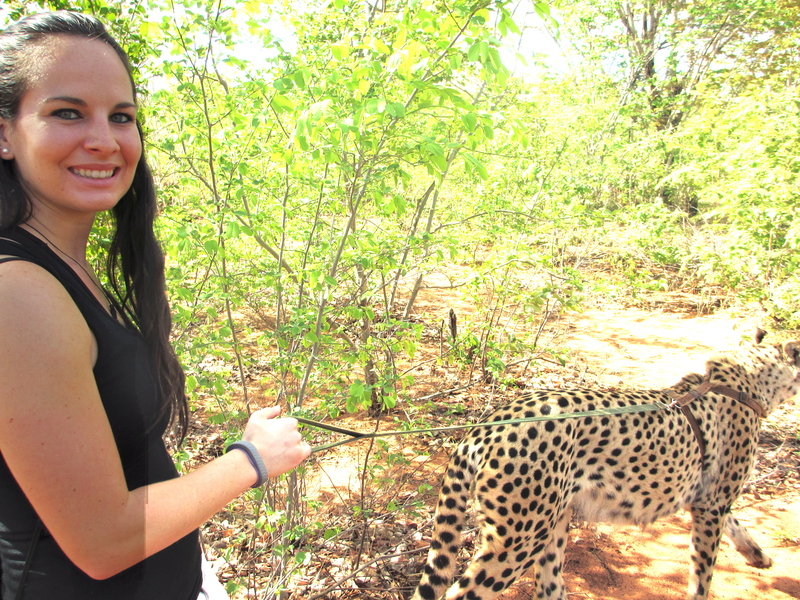 They tie a lure to a rope and the cheetah chases it and gets a reward at the end. They only do one run a day because afterwards they are too tired to run at full speed again due to the quickly increased rise in their body temperature after a hard run. 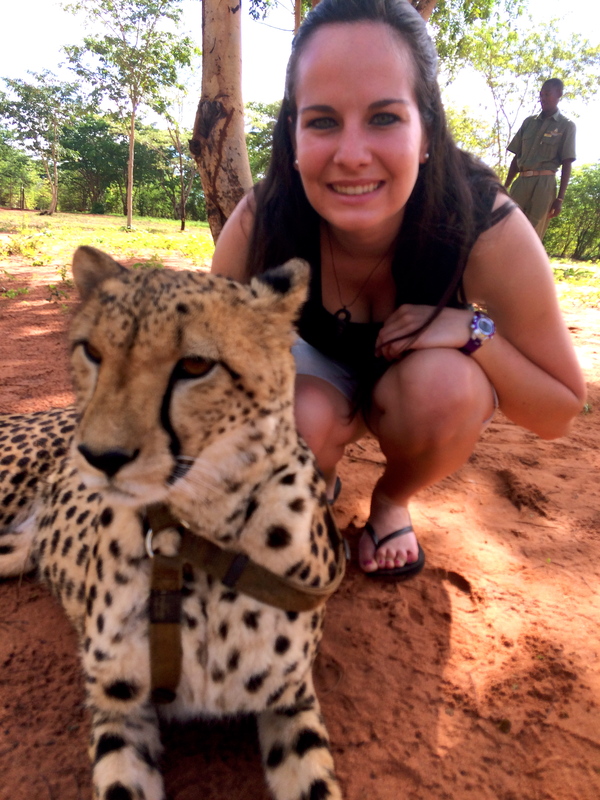 The cheetah can run faster than any other land animal- as fast as 70 to 75 miles per hour (112 to 120 km per hour)! They can accelerate from 0 to 62 mph (100 km/hr) in just 3 seconds! 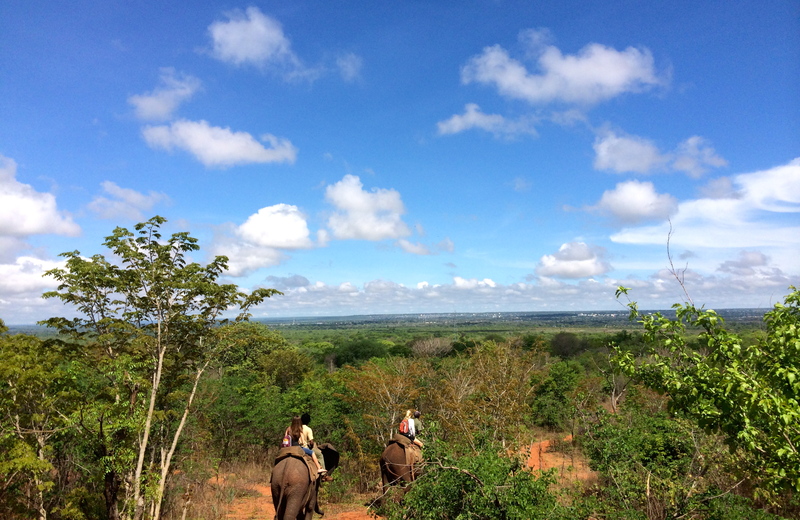 Finally, to end our trio of animals we hopped on an elephant to ride through the bush. This was by far my favorite part. I thought it was amazing to be able to ride atop of some of the largest animals on earth while taking in an amazing view. Before getting on we asked if it was okay to hold our phones/cameras while riding the elephant. The guides said of course, and if we drop them the elephants will pick them up for us! How amazing! No one dropped theirs, but the guide on the elephant in front of me dropped his baton and the elephant used its trunk and handed it right to him! 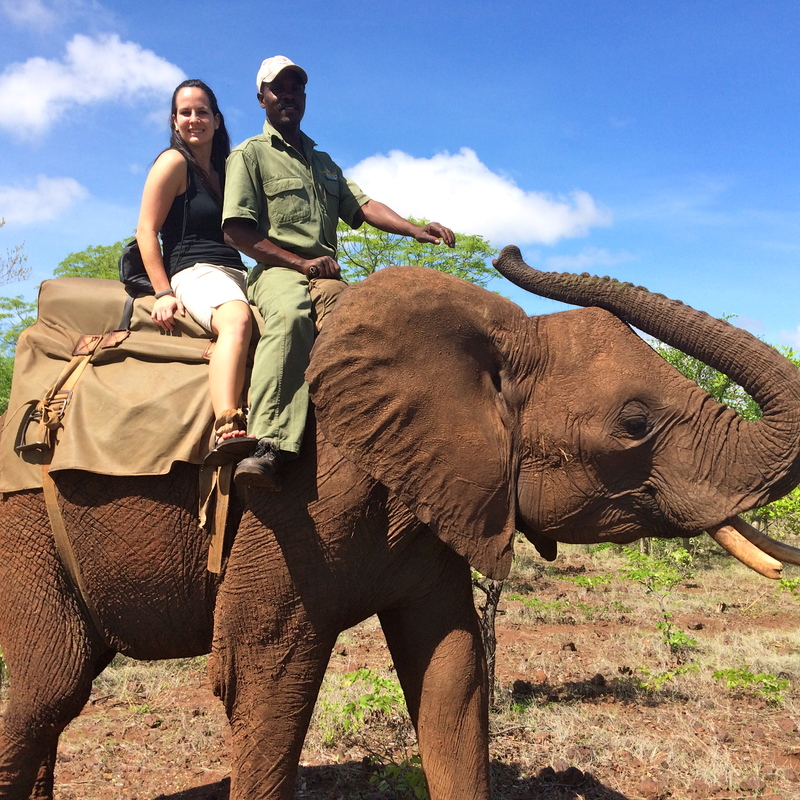 During the ride, I had the opportunity to ask the guide loads of questions about elephants. They live to be 60-70 years old on average, and throughout the course of their lifetime they go through about 6 sets of teeth! And they are not tiny either… one elephant molar weighs about 11 pounds (5kg)! 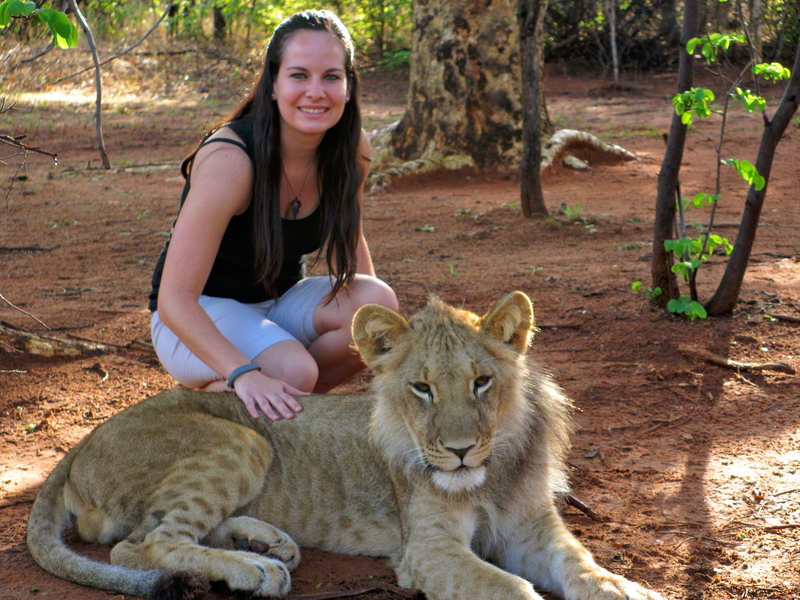 They typically eat up to 300 pounds of food in just one single day. They can also be righty or lefty, which you can tell based on which tusk is more worn out. Who would have guessed?! Their tusks continue to break down and regrow throughout the course of their lifetime. Elephants are also some of the world’s most intelligent animals. At the end of the ride we all had the chance to feed the elephants. It was so weird and cool at the same time. 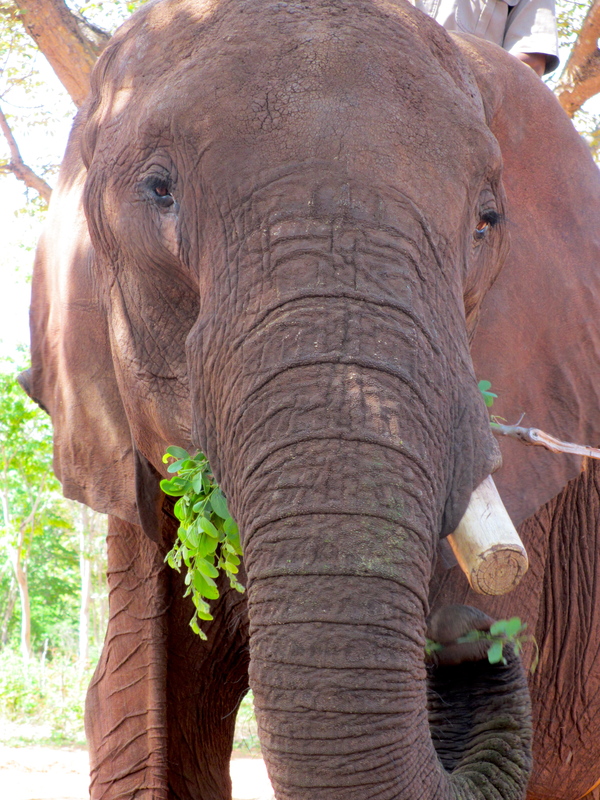 You could give them the food and ask them to pick it up with their trunk, which was such a strange feeling. Or you could also put it right in their mouth- crazy! 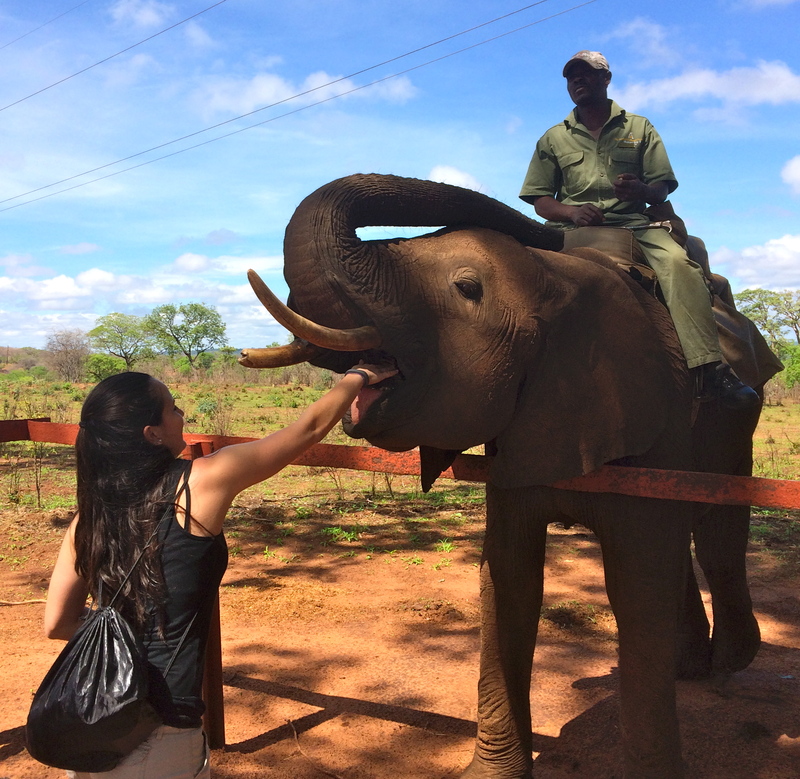 My hand was in an elephant’s mouth! Afterwards we stopped for lunch then headed to the backpackers to get ready. That night we went to a fundraising event, Carols By Candlelight. There were different activities for the kids and baked goods and cards (made by the students) available for purchase. Some of the students had been practicing singing carols for weeks for this event. 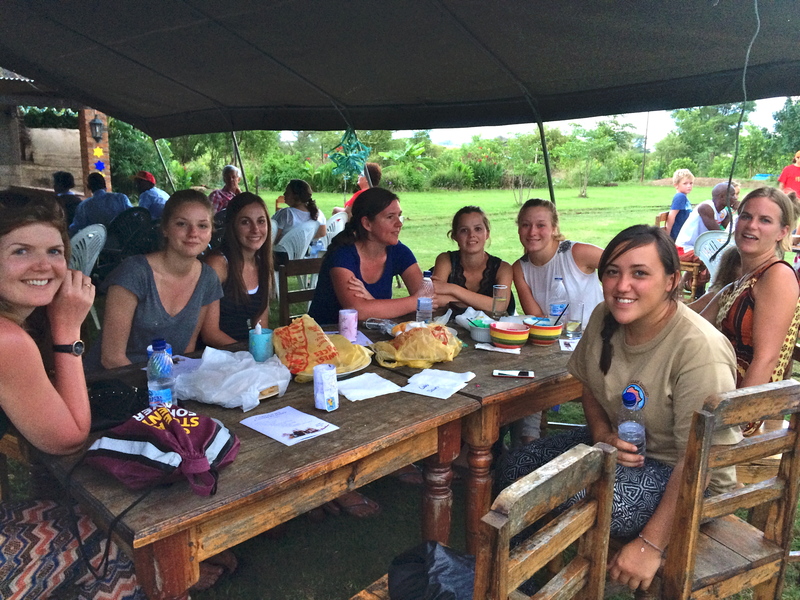 The event helped to raise money for Zambezi Sawmills Community School. As part of essential building renovations that the money will help fund, a wall will be built around the school and an on site teachers house will be built. At the end, the girls sang their carols beautifully for everyone.